Designed for professionals and their most demanding applications, the SSD 840 PRO provides unrivaled read, write, and multi-tasking performance. It's built for the real world, with no moving parts reducing the risk of damage from shock, while using the latest in security technology including AES 256-bit encryption. Its ultra-efficient design means increased battery life. The 840 PRO Series SSD is made to provide consistent, excellent performance through its entire lifetime even under extremely heavy workloads. Like all Samsung SSDs, it is designed and built completely in-house at Samsung using the highest industry standards and advanced Samsung memory technology. And, as with other solid state drives, the 840 PRO has no moving parts, which means no hard-drive spin-ups, no noise and superior data protection**. The 840 PRO allows you to keep up with demanding workloads while safeguarding your data. 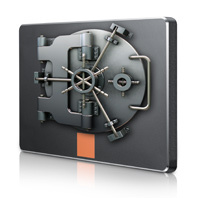 Advanced AES 256-bit full disk encryption provides worry-free data security. And the Samsung MDX controller technology and firmware ensures long-term sustained performance under the most punishing conditions. At only 7 millimeters thick and weighing just 2 ounces, the 840 PRO Series SSD has a thin, lightweight design that can make your laptop lighter to carry. And because it contains no moving parts and it features an ultra-efficient design, it consumes little battery power, letting you enjoy up to 50 minutes more of laptop battery life than a standard hard disk drive (HDD) or competitor SSD. *** This product also supports Device Sleep mode for Microsoft Windows 8 and Haswell chipsets to help reduce power consumption. Samsung's Magician software includes business-friendly features that make it easy for IT managers to manage and maintain the health of the 840 PRO Series SSD, including Self-Monitoring, Analysis and Reporting Technology (SMART) Support. 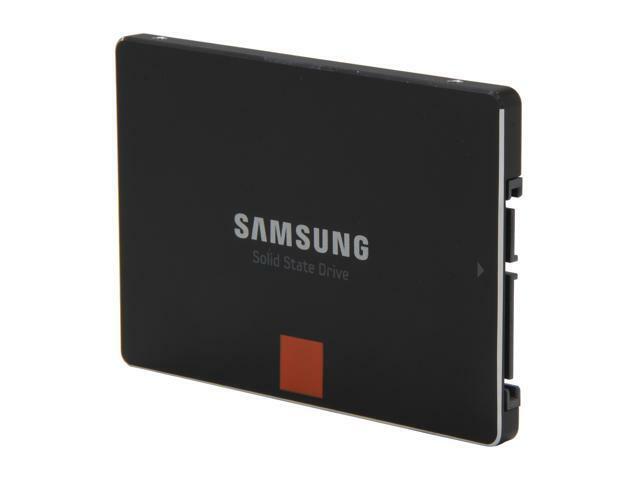 This SSD has a usable capacity of 128GB, offers 256MB of Samsung LPDDR2 DRAM cache memory, and has a SATA 6GBps interface that is compatible with SATA 3Gbps and SATA 1.5Gbps. It measures 7.00 x 69.85 x 100.00 millimeters (H x W x D) and weighs 54 grams. 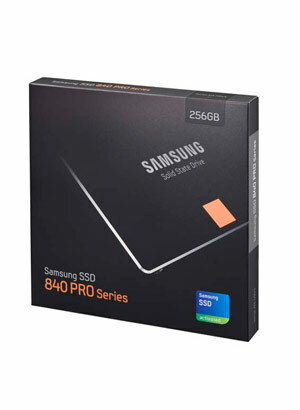 840 PRO Series SSD, Samsung Smart Data Migration Software, Samsung SSD Magician software and manual CD, and quick user manual. Pros: Title says it all. 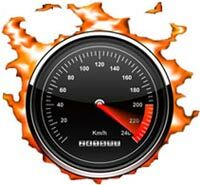 Pros: - Drive is super fast. 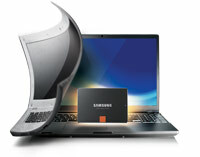 - Samsung Magician software is easy to use. Pros: I've owned this for about 3 years and it's still going strong! Well worth! This was a HUGE step forward in all aspects for me. I've come to learn that space and speed are priceless when it comes to how efficient a computer really works. This Samsung 840 Pro was my first SSD. But will not be my last. I have NOT had any issues with this product of any kind. I only wish I had gotten 2 instead of 1. But at the time wasn't financially possible. Since the upcoming release of the ZEN AMD processors I'll most likely be getting an M.2 SSD and using this as storage or a cache drive. If you have any questions or hesitations about getting one of these, rest assured your money will be well spent with no regrets. If I could give this 100 eggs I would. Other Thoughts: It's small, it's faster than I could have imagined when going from an spin type HDD. Pure positive thoughts and experience with this. Get one, you won't regret it. Pros: - This SSD performs very well. When I initially installed it, I could boot to three operating systems in a row (Windows 8, Linux Mint, OS X) from POST to desktop in about two and a half minutes total (including fumbling with passwords). - Excellent and actually helpful companion software that doesn't get in the way. Other Thoughts: I initially installed this in my main rig, but moved it to my iMac after upgrading to an 850 Evo. Make sure to download the Samsung Magician software to get firmware updates and quick OS SSD optimization! Pros: So Far it's the only SSD I have ran for 3 years and not had to replace. that makes it a winner in my book. Cons: i bought 2 SSD, one now stop work after 2.5 years, bad customer service in french (France, or other like service from India), bad information from customer service. after many discussion, Samsung Canada not recognize my warranty, i have to pay (with mt pocket) to send to USA my SSD, normally shipping is pay by Samsung when warranty. BECAUSE NEWEGG bought SSD in USA to sell in Canada, They not buy SSD in Canada for customer in Canada. many problem or exact information from customer service. Other Thoughts: Good SSD at all and warranty, but try to buy stuff from your country, some compagny like Samsung not recognize fuquing warranty. BAD customer service from some country. bad web site setting to have help, tracking and survey.